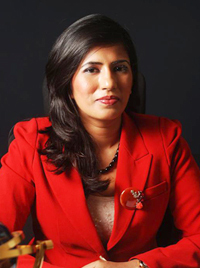 Devoted to inspiring people to be their best version, Sheena Agarwaal founded Urbanista Image Consulting LLP in 2010. Trained by master trainers Carla Mathis, Christina Ong and Lynne Marks, along with the unparalleled background in the arena of Image Consultancy, she is a Neuro Linguistic Practitioner and one of India’s first Reach Certified Personal Brand Strategist. She feels passionately about evolving people into brands and enable her clients develop and create a mark in whatever they do. She has worked extensively with CXOs, Senior Executives, Entrepreneurs and College Students on matters related to Executive Presence, Communication Skills, Body Language, Business Protocol, International Etiquette and Personal Branding. As a corporate trainer, Sheena has delivered successful programs at private and public sector organizations as well as business schools. She likes to work with the company in customizing a training plan and go beyond the traditional offering of set training services. She is a member of Association of Image Consultants International and is currently empanelled as a trainer with Femina Believe, a Times of India Initiative. Sheena acquired her early education at Mayo College, Ajmer, Rajasthan and graduated in Human Resource from Christ College, Bangalore. It was during her stint with Goldman Sachs that she realized the need for Executive Presence and has lead with believe since then. Her Post Graduation from Mudra Institute of Communications Ahmedabad focused on Digital Media and Brand Management. This further strengthened her understanding on branding and need for the same in today's world. Conversant in English, Hindi, Bengali and elementary French, Sheena also has a deep appreciation of diverse cultures. Sheena exudes optimism and a genuine belief in the power each of us has to achieve great things. She not only sees the glass as half full, she sees the potential for it to be overflowing.